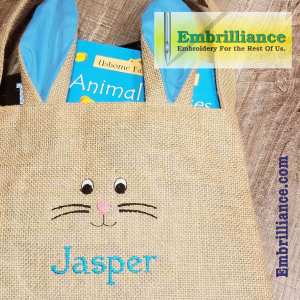 Easter is coming up and we are seeing embroidered bunnies everywhere! 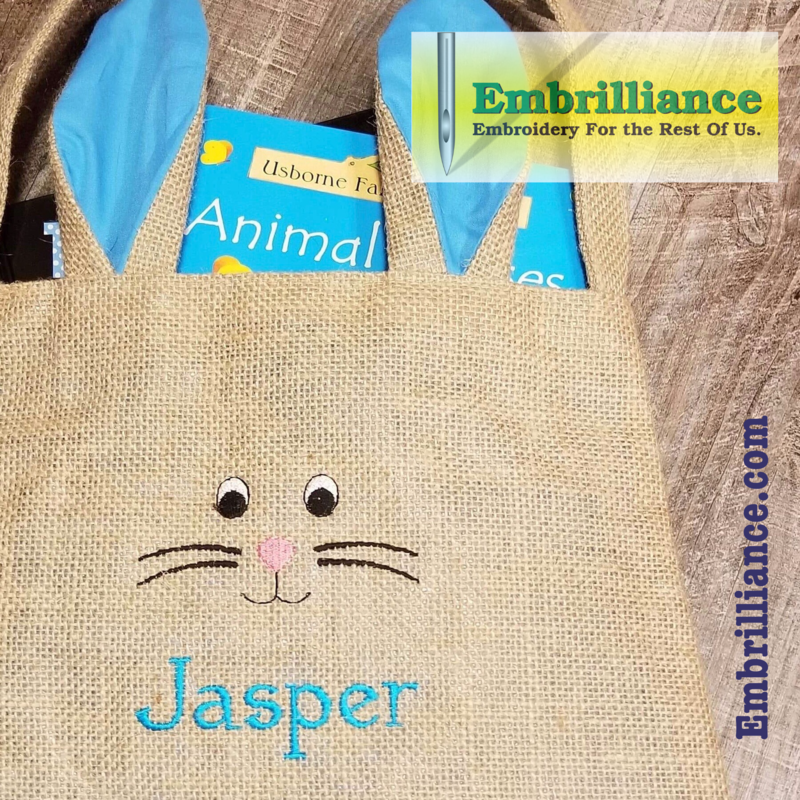 Here is a free design of a bunny face to add to your favorite bunny ear tote to create a personalized Easter basket for a special someone. This design was digitized in StitchArtist by our friend Chace Wilder and it is available as a free download in this month’s project blog! We love how the line width and start and end nib options are used to create the whiskers of the bunny face! This feature is available in ALL levels of StitchArtist – including Level 1! In other expensive programs, the only way to create an elegantly shaped satin object is to use a column stitch. 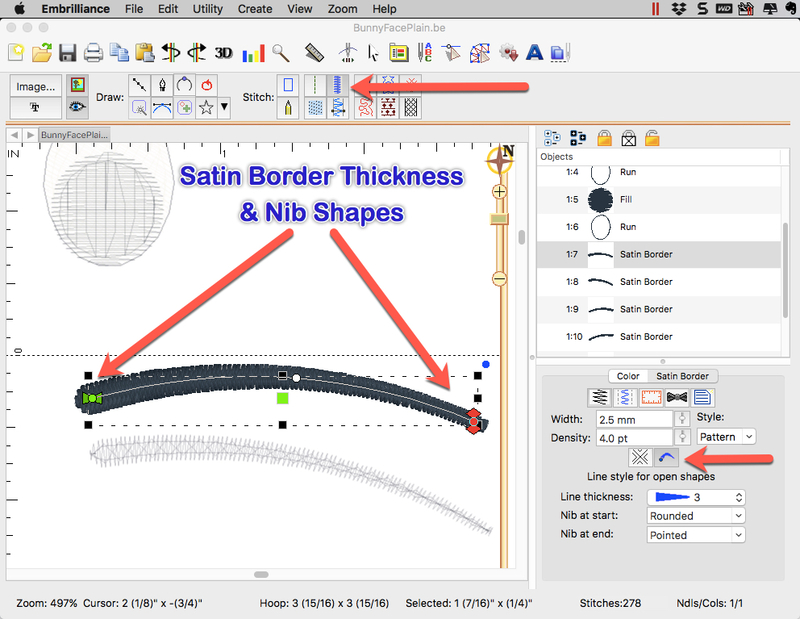 But with StitchArtist, all it takes is three clicks to create the curved line, select the Satin Border stitch type and choose from any of the 8 line thickness styles. You can even choose to have rounded or pointed end nibs. If you have StitchArtist, open the BE working file into Create mode and check out the settings for each of the objects. We have included a PDF file with more information on the design to help inspire and guide those who are developing their own digitizing styles and techniques. Download the zipped file containing the design and PDF file here. The design is provided in our native .BE format, enabling you to save a stitch file for any embroidery machine. If you aren’t already an Embrilliance owner, we provide a free method to use our software called Express Mode that will not only allow you to use any of the wonderful free designs found in our project blog, but also enables you to install and create basic text treatments with fonts distributed in our popular .BX format produced by many embroidery design creators. Posted 2 weeks, 4 days ago at 10:32 am.